Bronze. 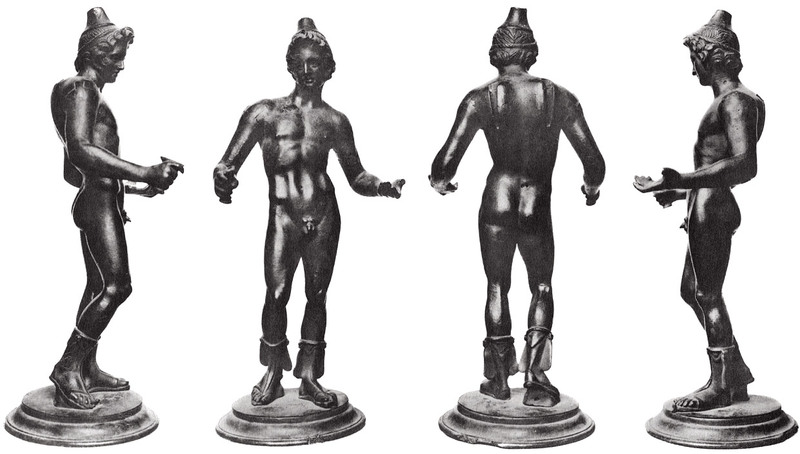 Late 3rd — early 2nd century BCE. Total height without the base 50 cm, height of the head 5.2 cm. Photo, text: O. Waldhauer. Bronzovaja statuetka Diomeda. SPb, 1922. Ezhegodnik Rossijskogo instituta istorii iskusstv, t. I, s. 129—134, tabl. X.